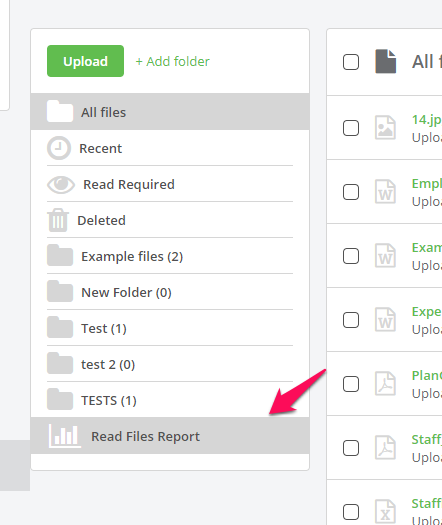 To view a report detailing the read and unread count for each file, first navigate to the Files tab. From here, click Read Files Report at the bottom of the folders list. This will take you to the Read files report page. From here you can resend email reminders for all files using the Re-send email reminder to all outstanding read requests button. 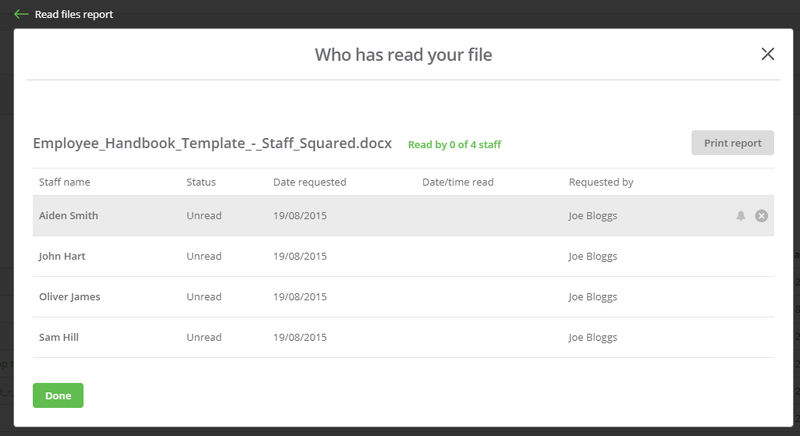 Clicking an individual file name will show you a detailed report of who has read it. 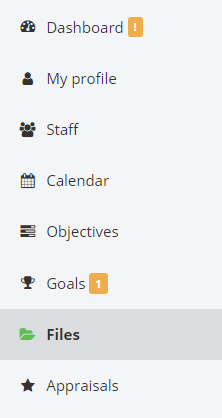 Scroll down to the bottom of your reports list. You will find the Read files report under Other reports.